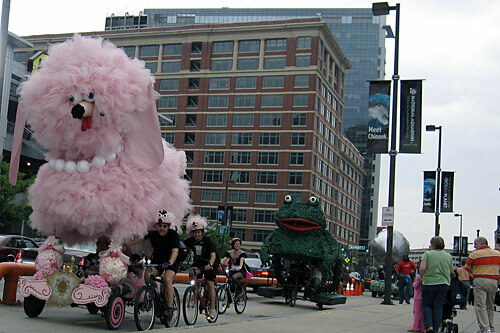 The American Visionary Art Museum’s Fifi returned for her ninth annual Kinetic race. 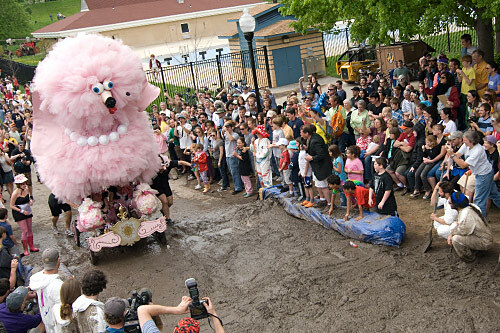 This year, she sported a bevy of French maids as pit crew to keep her 1801 pounds at the peak of pinkness. 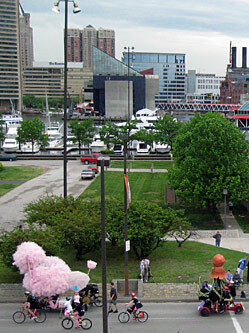 She tied with Safety Bears for Best Bribes. 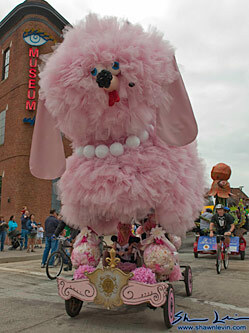 The photo of Fifi at the AVAM museum building is courtesy of Shawn Levin Photography.